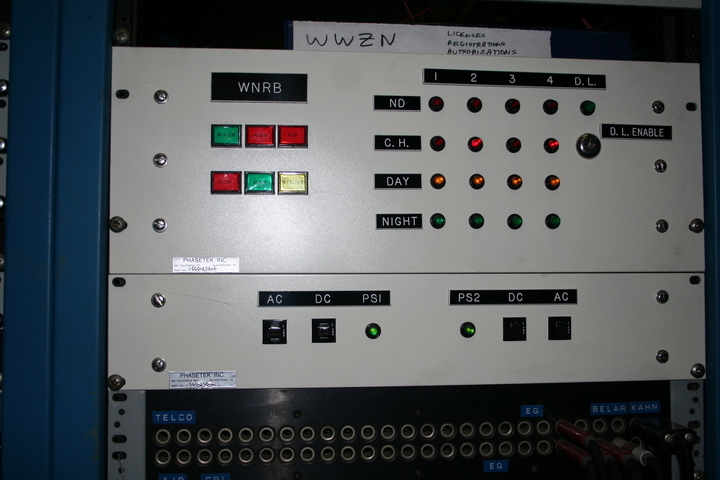 Several years back, after WNLC (1510 Norwich) was deleted, WWZN (or WNRB as it was then) got permission from the FCC to widen out its day pattern, which until then had had a severe null in the direction of Norwich. (The original 1510 facility in Quincy did not have this null; by moving the transmitter to Waltham, WMEX [as it was] gave up its priority on the channel.) However, that Norwich null had the side effect of also protecting WLAC (1510 Nashville), the nearest class-A station on the channel, from daytime-skywave interference by the Boston station, so the old day pattern had to remain in place for use during “critical hours” (generally two hours after sunrise and before sunset). WLAC's night pattern protects Boston (because the old WMEX had priority on the channel, even though it was only a class-II). WWZN's day and critical-hours patterns use only the east and south towers.